• Require public universities to impose disciplinary sanctions on those on campus who infringe the rights of others to free expression, while affording due-process rights to the accused. • Instruct universities to feature programs in freshman orientation that present the principles of free expression and set forth the campus policies that safeguard it, particularly the disciplinary sanctions for those who violate the rights of others. • Call upon university trustees to create a committee responsible for issuing an annual public report describing the condition of freedom of expression on campus. • Establish causes of action under state law for those on campus whose free-speech rights have been infringed and allow them to recover reasonable court costs and attorney fees if they prevail. • Oblige each public university to “strive to remain neutral, as an institution, on the public policy controversies of the day” and bar universities from taking actions that “require students or faculty to publicly express a given view of social policy.” By enacting bills based on the Goldwater Institute proposal, state legislatures would enable colleges and universities to create an educational community in which students and faculty can enjoy the freedom to defend their views, air their disagreements, explore competing perspectives, seek knowledge, and passionately pursue the truth. The scene gained worldwide attention not just because of the mayhem but because of where it took place. UC Berkeley is the birthplace of the free-speech movement and has been known for more than a half-century as a bastion of tolerance. As the university cleaned up Thursday, it struggled with questions about why the violence spun out of control and what has happened to the open-minded Berkeley of the 1960s. "It was not a proud night for this campus," school spokesman Dan Moguluf said, later adding, "We are proud of our history and legacy as the home of the free speech movement." Officials knew there was a potential for violence and went to "extraordinary lengths" to prepare for the event, Mogulof said in a statement. But school authorities say they believe the instigators were not Berkeley students. Berkeley was the last stop on Yiannopoulus' college tour, which had sparked protests and sporadic violence around the country. He is a vocal supporter of President Donald Trump and a self-proclaimed internet troll whose comments have been criticized as racist, misogynist and anti-Muslim. 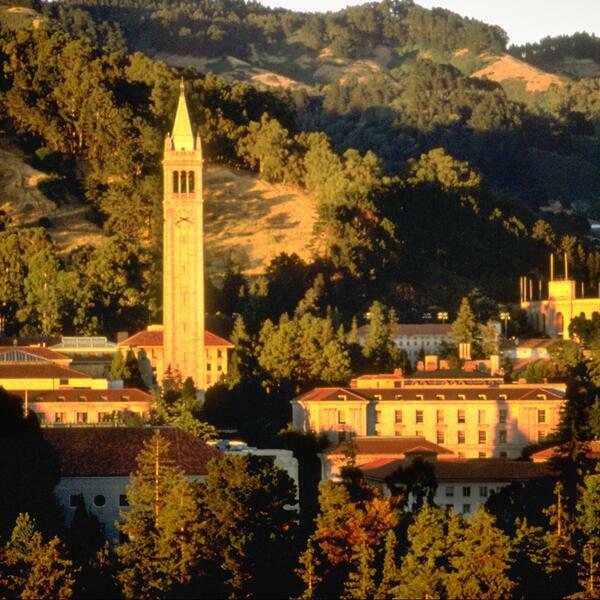 Dozens of police were called to Berkeley from nine UC campuses. The student union where the talk was scheduled was locked down hours before the event. Layers of metal barricades were erected around the building with riot police standing guard inside. “Trump Jump” Sustained by Jobs and “Risk-Taking” Outlook. @McTaguej @Barron’s.